The following is the final in a series examining the validity of the X-Men’s mutant oppression metaphor. Read Part 1, Part 2, and Part 3 before proceeding. 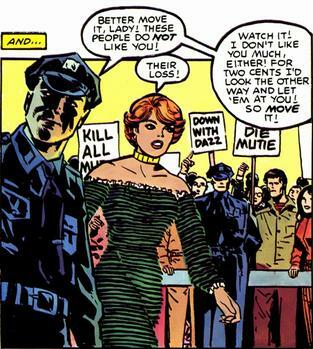 The following is the third in a series examining the validity of the X-Men’s mutant oppression metaphor. You should read Part 1 and Part 2 before proceeding. 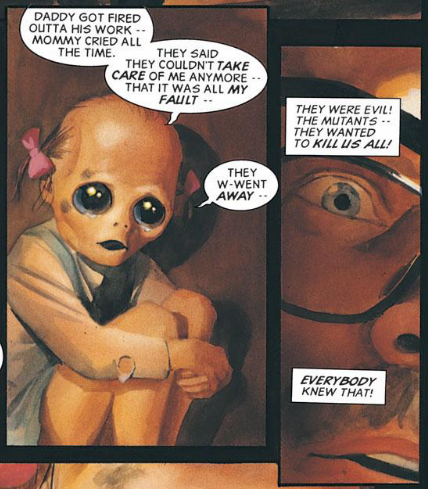 Previously, I discussed the dissimilar treatment between mutant and non-mutant super heroes, the role fear plays in oppression, and how the X-Men aren’t really representative of the mutant population. The following is the second in a series examining the validity of the X-Men’s mutant oppression metaphor. You should read Part 1 before proceeding. 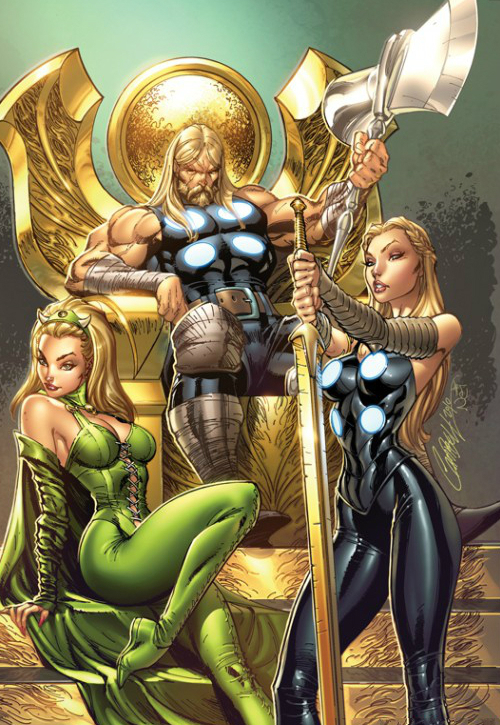 Last post, I highlighted the difference in the public treatment of mutant and “human” superhero teams in order to establish the absurdity of fearing mutants over “normal” superpowered people. I also discussed how this fear is wielded by the majority in an effort to justify the hate and oppression of the mutant people. Triage arrested for using his abilities to heal an injured friend. On two previous posts about the “M-word” and the mutant oppression metaphor, a couple commenters voiced concerns about the feasibility of using superpowered mutants as an effective metaphor for oppressed groups. 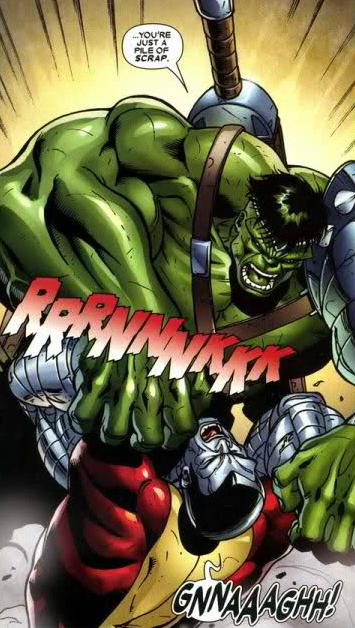 Readers have brought up some valid points, including the possibility that unlike real world oppressed groups, mutants really are dangerous, as well as the idea that their superpowers invalidate the comparison to real subjugated people. I think both points are interesting and deserve a larger exploration. 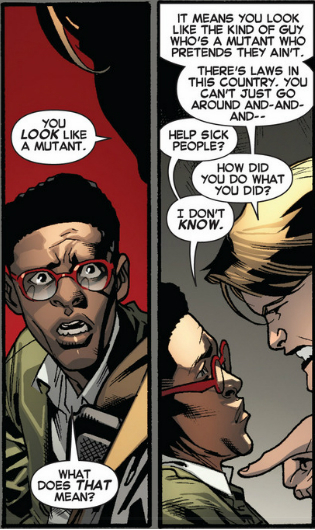 Kitty Pryde has a long history of drawing parallels between the plights of mutants and those of real life people of color (see X-Men: God Loves, Man Kill and New Mutants #45). That’s why I was excited to see her speak up in All-New X-Men #13 to so masterfully address Havok’s infamous M-Word Speech. The monologue comes courtesy of Brian Michael Bendis and I can’t help but interpret it and its lack of counterpoint as explicit commentary directed to Rick Remender. Either way, it’s a great monologue and an even better point. 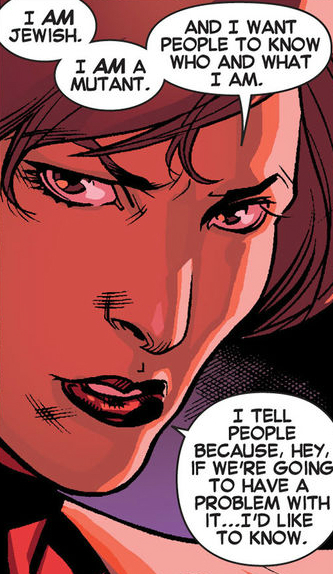 In Uncanny Avengers #5, writer Rick Remender included a speech advocating cultural assimilation and the abandonment of a minority’s cultural identity. Needless to say, this has caused a bit of an uproar. Before we get to the speech, here’s a little background.